Yesterday evening someone hit my dog; more than that, they hit her and didn’t even bother to stop afterwards. We went outside yesterday evening and she lay at the bottom of the ramp on the porch with her paws bleeding and her front right leg messed up. After putting all of our money into fixing our truck (a new half shaft and a new ball joint) we had no money to put out for a vet. After calling nearly every vet within a 20 mile radius we finally found one that was willing to accept a post-dated check and see our dog. This vet was awesome and worked with us to do what he could for Lexie. 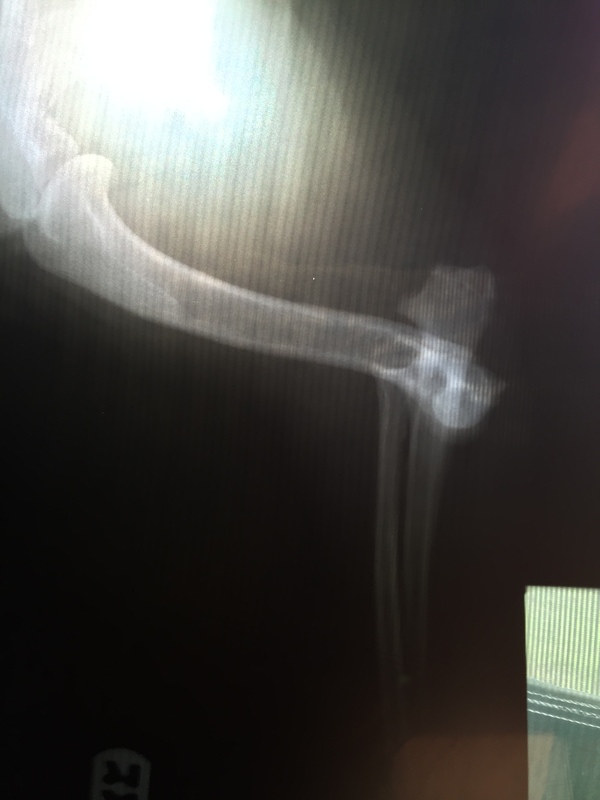 He took an x-ray of her shoulder and elbow to see if her leg was broken or just dislocated. The good news is that her leg is not broken just dislocated, which is also the bad news. 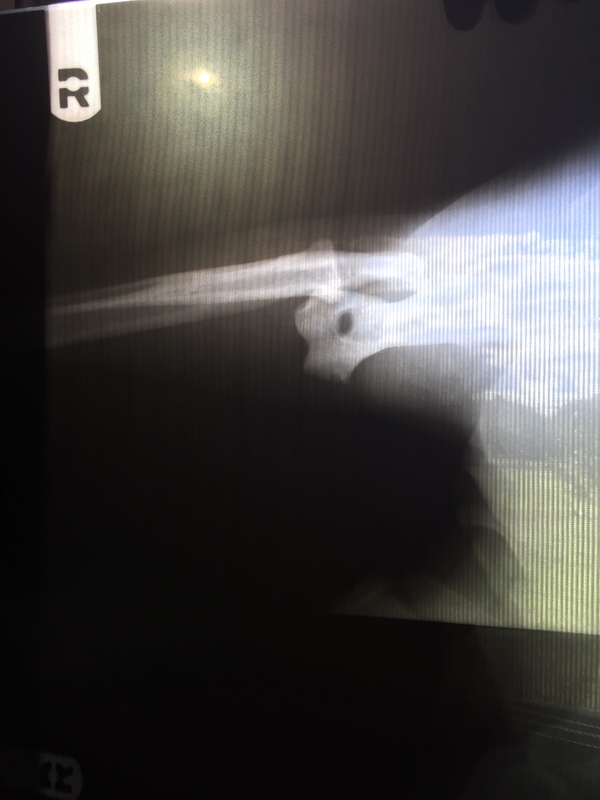 Due to the fact that Lexie is a very well muscled Staffordshire terrier the doctor couldn’t relocated her elbow without surgery. When her elbow is relocated she will need surgery to repair the ligaments and tendons in her leg, and possibly need surgery for the relocation itself. The doctor was able to stabilize Lexie’s elbow and give us enough painkiller and anti-inflammatory medication to keep her comfortable for around three weeks. Right now she’s laying on my bed resting as comfortably as she can considering her condition. We won’t be able to return to Virginia and hopefully find a vet that will work with us until the 6th of November, and even then there is no guarantee that we will find a veterinarian that is willing to allow us to start up a line of credit with them; after all it did take us eight times to find one here that was willing to work with us. So now I am left: terrified that my dog won’t be able to have the medical attention that she needs, worrying about how I am going to come up with the money for the vet bills and money to get back home. I feel like everything around me is falling apart, and this is just the icing on the Fail Cake that is my life.